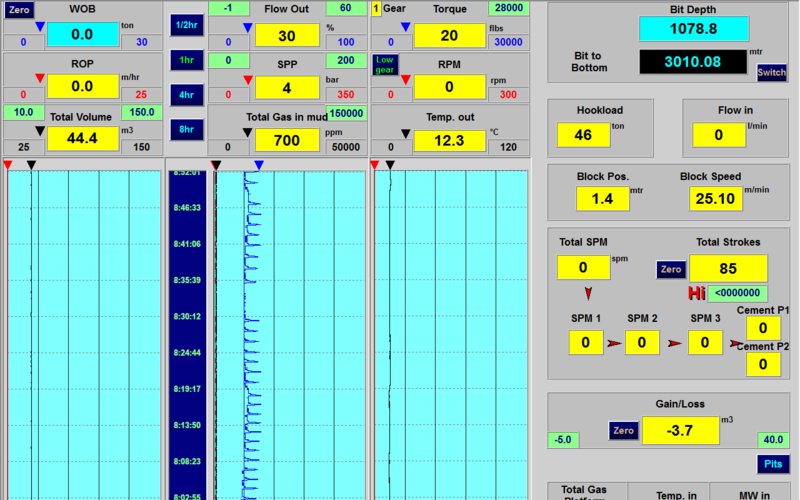 DRILL-PRO "Total Drilling Information Systems"
The DRILL-PRO rig floor instrumentation system is a tried and proven data acquisition and management system. In use on all rig types, from the high spec drillship pictured above to truck mounted land rigs the system is rugged and simple to operate, yet has the power and flexibility to be extended to handle all situations. An 19” Exi drillers-monitor. A 19” Exi colour TFT display, controlled by a stainless steel industrial quality trackball gives a clear, crisp display even in bright sunlight. The unit is Atex certified for use in a hazardous area. PLC (S7). A rack mounted PLC, S7-300 and server is mounted in a safe area, such as the SCR or MCC room. 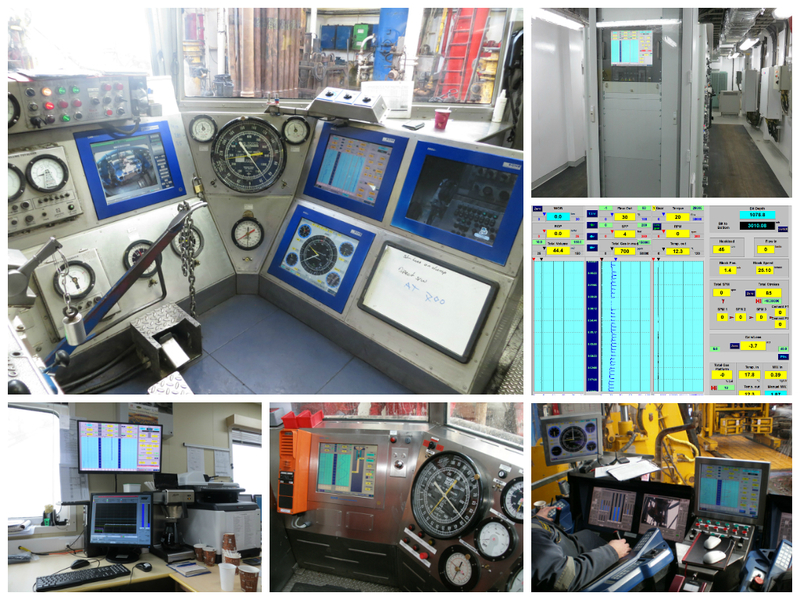 The unit includes a 19” display and enables all parameters to be monitored and troubleshooting to be effected. Data storage is on conditional and can be up to ten times per second depending on the parameter. Storage is both time and depth based. Expansion and Support. The system is expandable and major components are available off the shelf worldwide. Standardized Components. By using standard PLCs the rig electrician will be familiar with the basic architecture of the system and the remote maintenance option where a satellite link is available enables Bohr’s support staff to advise on calibrations, optimize performance or troubleshooting.